This home is the third home built by Habitat volunteers in Babbitt. The small community of Babbbitt has always come together to build for one of it's own and this project is no exception. 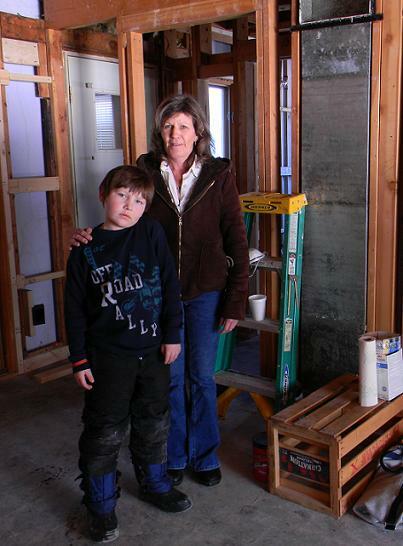 Karen Myers and her grandson Jayden are partnering with Habitat to rehab their new home. Karen is a member and secretary at Good Sheperd Lutheran Church in Babbitt where the congregation along with other community volunteers have come together to help remodel the home with her. If you would like to get involved with this home in Babbitt call the office toll free at 866.749.8910 or you may contact Karen directly at 218.966.6866 to schedule a volunteer day.